Subhead: He’s a bit of a stiff, too. 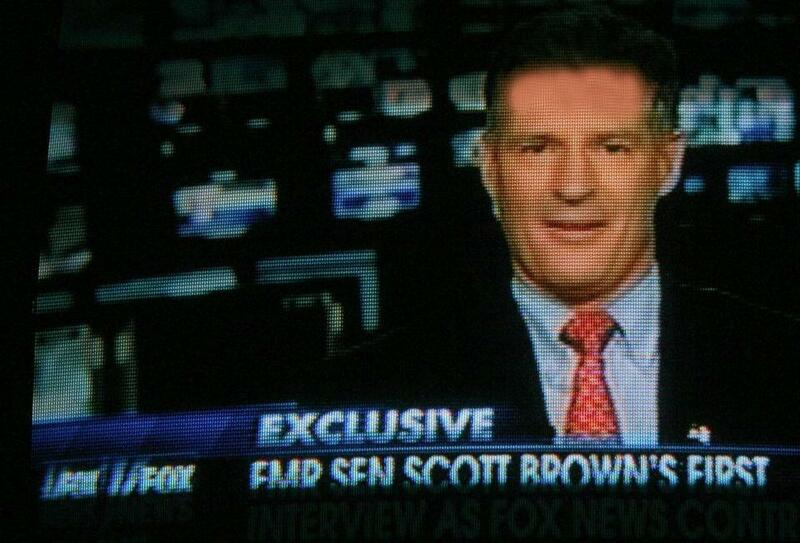 Former Sen. Scott Brown (R-$$$) made his Fox News debut on Sean Hannity’s show last night, and it has received decidedly mixed reviews in the local dailies. Former senator Scott Brown made a transition from potential comeback politician to pundit in just two weeks, making his debut as a contributor to Fox News on Wednesday night in an appearance also billed as an “exclusive” by host Sean Hannity. Fans and skeptics alike saw the move as a plush landing pad for Brown, a telegenic former model who used his regular-guy appeal to great effect in his campaign for US Senate and whose upset win in 2010 was championed and chronicled on Fox . . . Wearing a suit with an American flag on his lapel, Brown started off his appearance on the “Hannity” show smiling uncertainly, but he soon hit his stride with campaign- style talking points. Translation for the Fox News-impaired: Bo-ring. 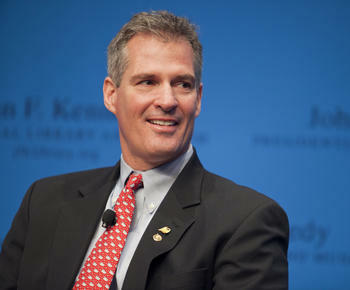 Scott Brown isn’t running for governor next year. That’s my bet. Fox News, where he debuted last night, is a terrific paycheck. Good for him. But you just don’t help your political career in the bluest of blue states by working for Fox . . . I for one expect that Brown will do for the men of America what he did for the boyos of Massachusetts: He’ll make them swoon. But while the earth may have moved for Margery, others were less, well, breathless. “I wonder what political analysis he’s done in the past that is noteworthy. Has he ever said anything that has great political insight?” said longtime GOP political analyst Todd Domke. Translation for the Domke-impaired: Double boring. In the end, only the Herald can make the Herald swoon. This entry was posted on Thursday, February 14th, 2013 at 10:05 pm and is filed under Uncategorized. You can follow any responses to this entry through the RSS 2.0 feed. You can leave a response, or trackback from your own site. Margery Eagan has a future writing for the Onion. Don’t know about the salary, but a step up in credibility. They and you are right, John. Scott ain’t no Eliot Spitzer!